Connected to Washington, DC by five bridges, Arlington has wonderful waterfront views and experiences on the Potomac River’s western shore in Virginia. Home to national treasures like Arlington National Cemetery, the Marine Corps War Memorial and the National 9/11 Pentagon Memorial, Arlington has lively neighborhoods and several great spots to access the riverfront. Make your way to the water by bike or trail, just minutes away from great restaurants featuring tastes from around the globe. A go-to area for locals enjoying happy hours, dates and more, Arlington is known for its chill vibe and postcard view of the capital skyline. 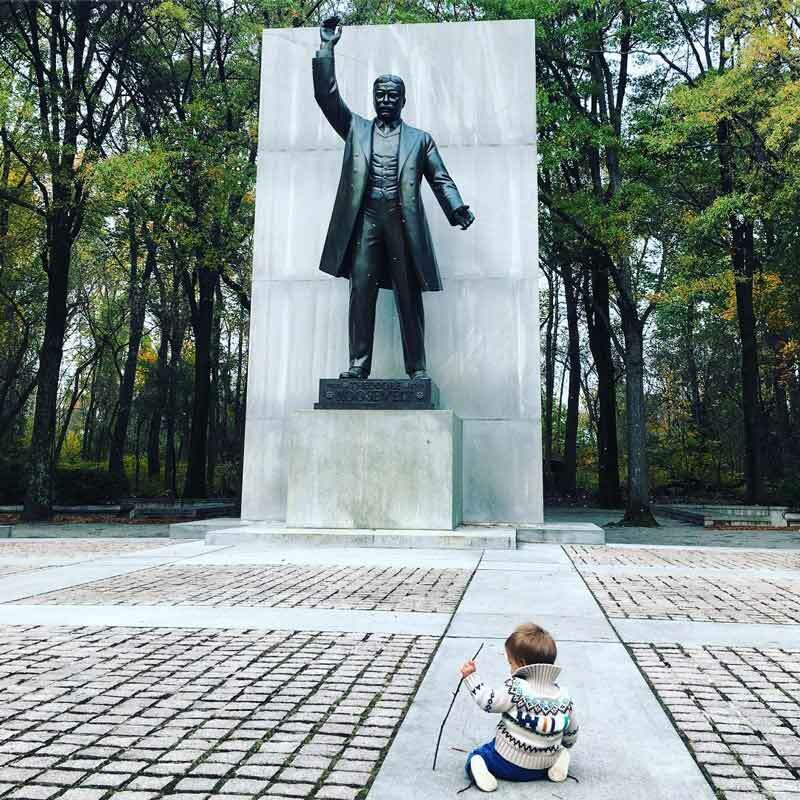 Discover Theodore Roosevelt Island, a memorial to America’s 26th president and a true oasis in the middle of the bustle of city life. The island, in the middle of the Potomac, consists of miles of trails through wooded uplands and swampy bottomlands, all designed to honor Roosevelt’s legacy as a great outdoorsman and conservationist. Hike your way through the brush and emerge on the memorial plaza, where a 17-foot-tall statue of Roosevelt awaits. There's no other national park that’s as much of a hidden gem as this one. 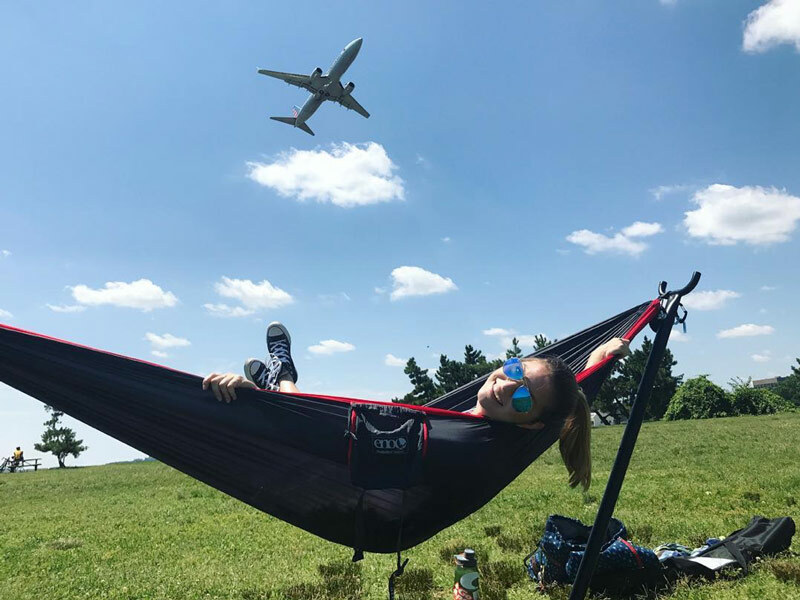 For simple thrills by yourself or with friends and family, visit Gravelly Point Park. Located just outside of Reagan National Airport, the park lies adjacent to the Potomac River. From this strategic vantage point, you can watch planes take off up close and personal. Bring a picnic lunch, Frisbee or a bike and discover beautiful views. 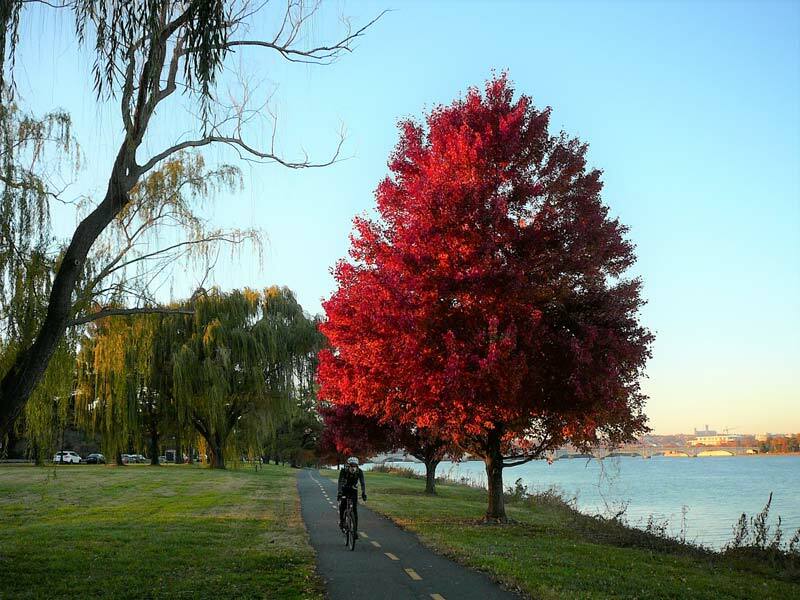 This paved trail along the Potomac River is large, wide open and has stunning views of the Washington Monument, Lincoln Memorial and U.S. Capitol running south from Key Bridge to George Washington’s famed estate, Mount Vernon. Popular with runners, bikers and commuters, it’s mostly flat and offers picnic spots along the way. Jog for miles along the path's shady, winding paths, take a leisurely walk or ride on a Capital Bikeshare cruiser. Spend some time deep in the forest of Potomac Overlook Regional Park, where you can explore 70 acres of woods, trails and educational gardens. 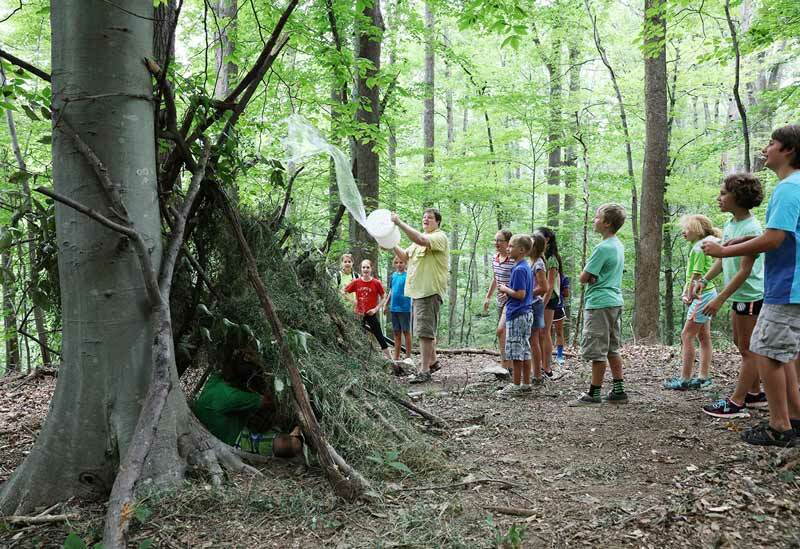 Hike miles of trails while following interpretive displays to learn about Northern Virginia’s flora and fauna. 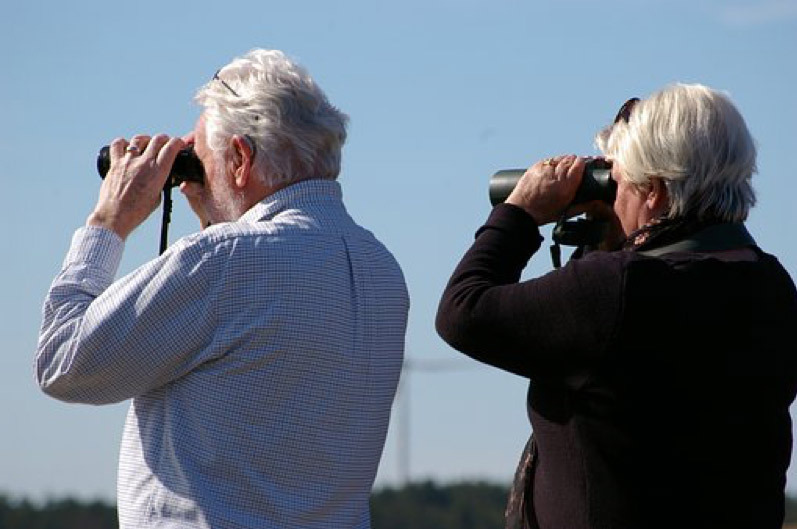 Birdwatchers flock to the Roaches Run Waterfowl Sanctuary, a popular spot to spy osprey, green heron, red-winged blackbirds and mallards in summer or watch wintering waterfowl make a glorious appearance in cooler months. Birders also flock to Theodore Roosevelt Island with their checklist to discover many of the nearly 200 species of birds that have been documented within its 88 acres. 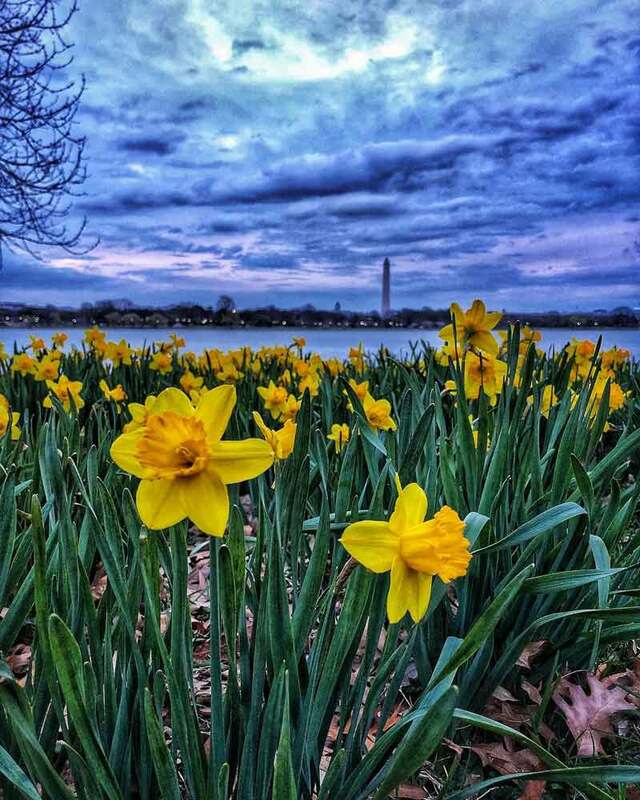 Thousands of bright yellow daffodils and hundreds of tulips herald the arrival of spring at Lady Bird Johnson Park. This floral scene will stop you in your tracks, so make sure to stop here for great photos, picnics and quiet contemplation. 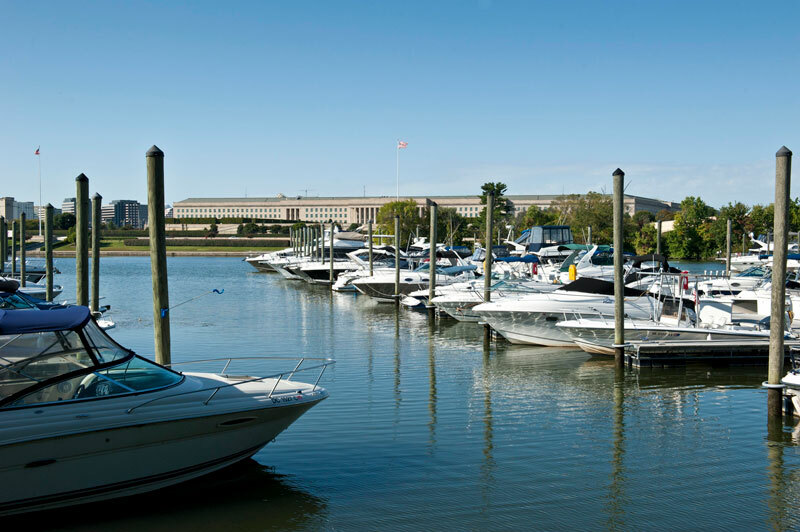 Just across the George Washington Memorial Parkway, the Columbia Island Marina docks yachts and serves as a put-in for kayaks and paddleboards. The picturesque marina also plays host to live music and other events in the summertime. 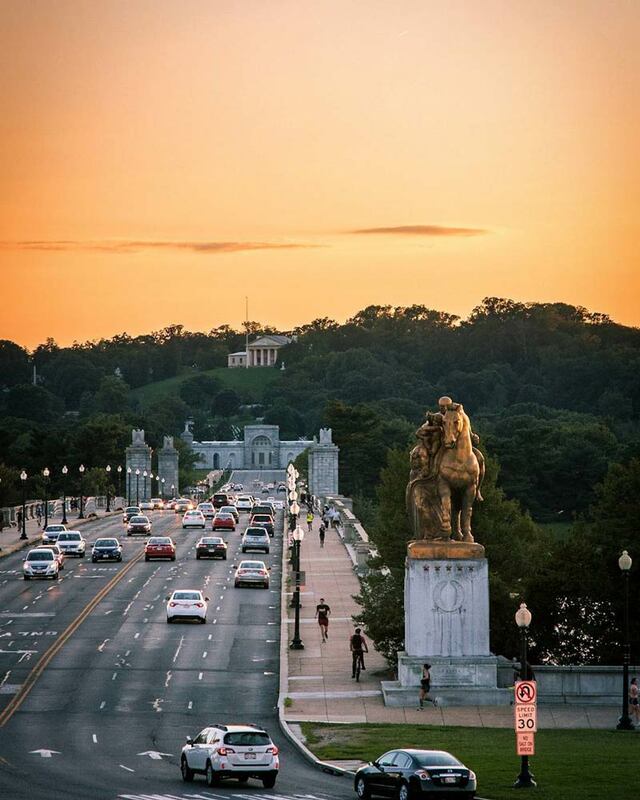 Walk across Arlington Memorial Bridge and Avenue with glorious views of the Potomac River, providing a ceremonial entrance from Virginia. Designed as an "Avenue of Heroes," the bridge is lined with memorials to Admiral Byrd, the Seabees, Valor and Sacrifice. Symbolically, the bridge was designed to show the strength of a united nation by joining north and south and connecting the capital to Arlington National Cemetery. More than 400,000 servicemen and women are buried there, including presidents John F. Kennedy and William H. Taft, civil rights icons Medgar Evers and Thurgood Marshall and the architect who planned the layout of DC, Pierre Charles L'Enfant. 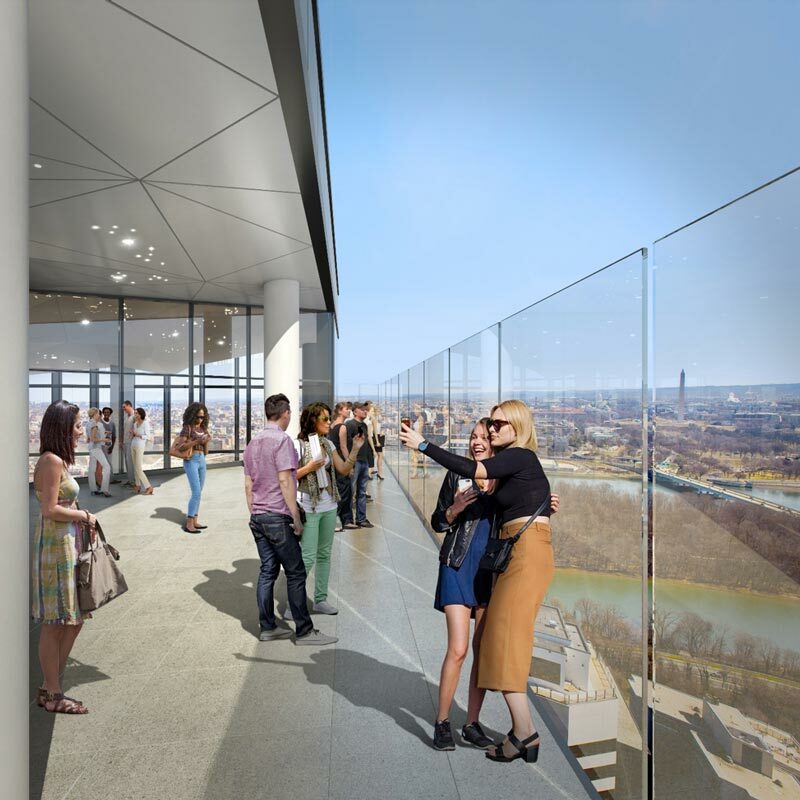 The Observation Deck at CEB Tower in Arlington’s Rosslyn neighborhood is situated 31 stories high and offers visitors unrivaled 360-degree views of the DC skyline and the Potomac River. A visit to the CEB Tower also includes an interactive journey through the events and personalities that shaped our nation and a cafe that celebrates the vibrant and multicultural food scene of the DC area. Take in the “spin capital,” from Skydome, the DC area’s only revolving rooftop restaurant atop the DoubleTree by Hilton Hotel Washington DC - Crystal City, overlooking monuments and the Potomac River. Try elegant waterfront dining at Amuse / Le Meridien with its view of Georgetown. From Ruth’s Chris Steak House in Crystal City, spy the river, memorials and planes taking off from Reagan National Airport. 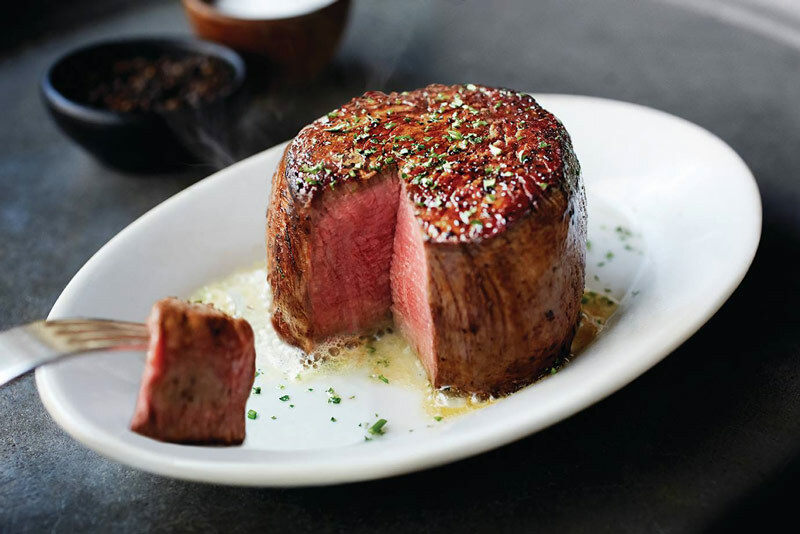 At the Holiday Inn Rosslyn’s Vantage Point Restaurant, enjoy a classic American menu with sweeping river vistas.